Artists love to support other artists. In fact at art shows we often spend much (if not all!) of our profits buying the work of our fellow artists. 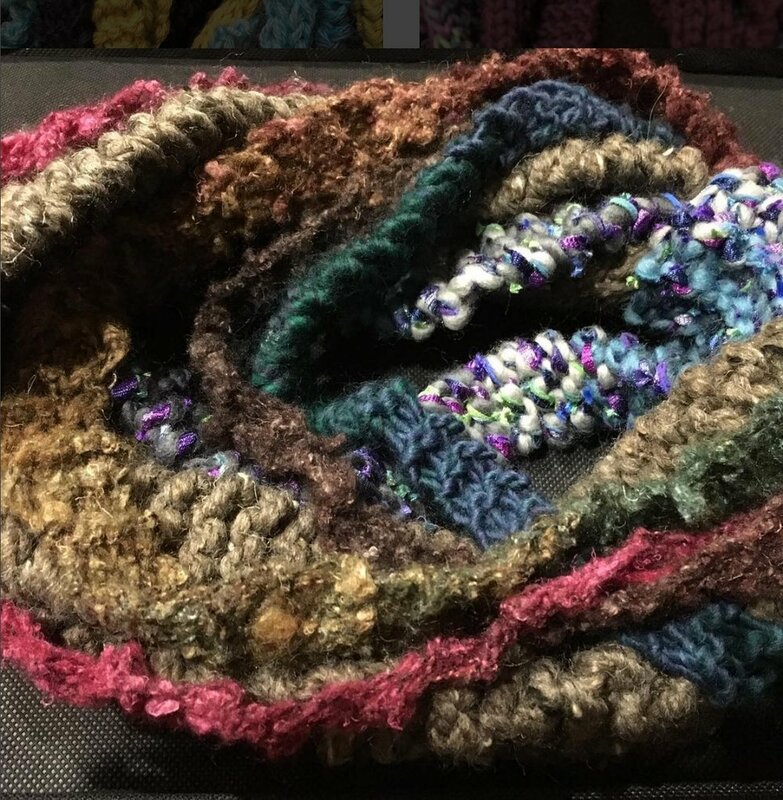 So when I saw the one-of-a-kind, multi-layered Raggle Taggle scarves of fiber artist Doreen Breen of Soul Threads Designs I knew I had to have one. 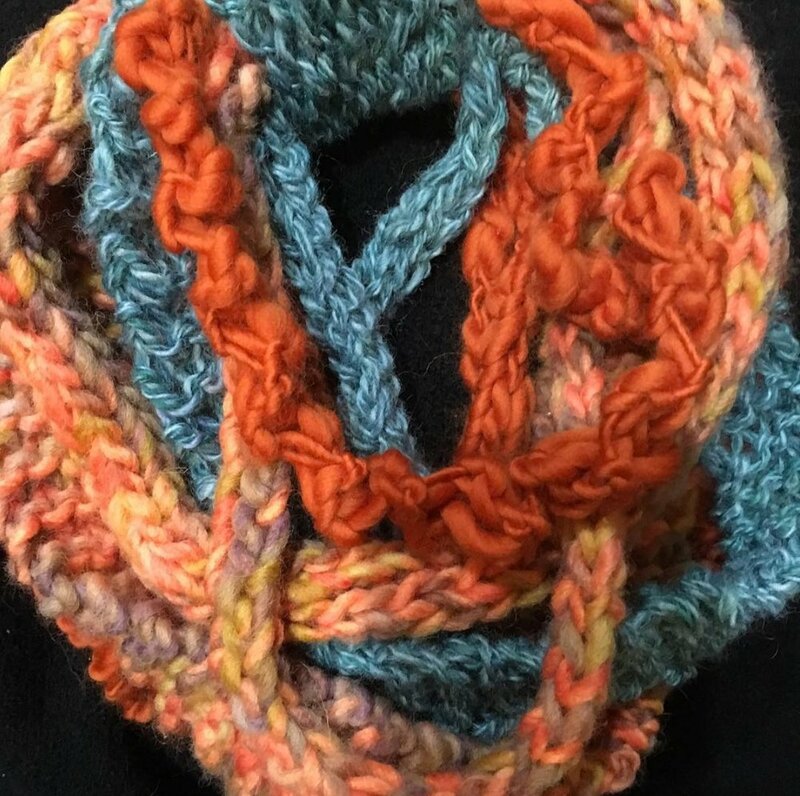 They are the fiber equivalent to one of my multi-strand necklaces - full of texture, astute color combinations, and luxurious natural materials - and she even makes them custom for "particular" customers such as myself. I wanted to send Doreen color ideas for my scarf, so I searched through a vast library of color palettes that had already been created by the global community on COLOURlovers.com. I sent her these three and asked her to pick which one most inspired her. While I was busy shopping for myself and soaking up the beauty of so many glorious colors, I was also thinking about a recent custom order I received. My customer wanted a multi-strand, multi-colored necklace similar to one she saw on my website but with a different color palette. 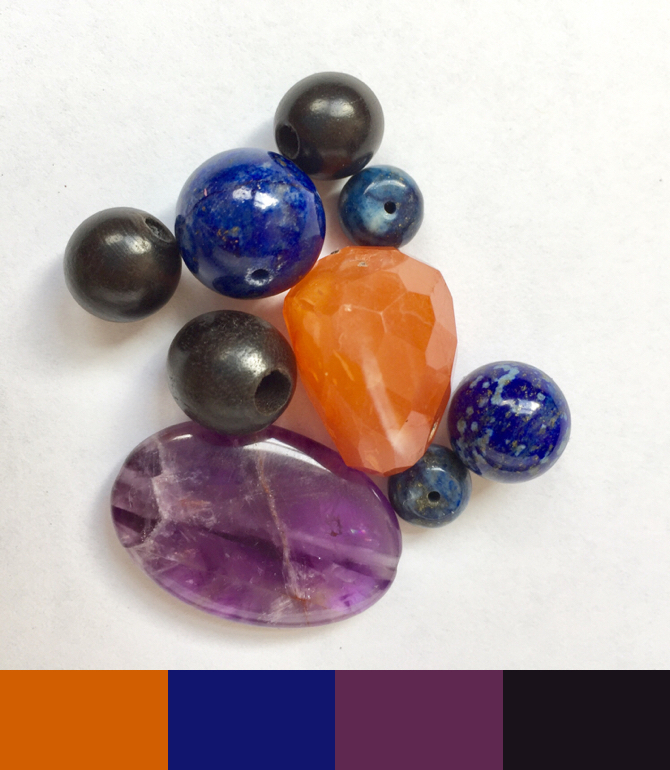 As I began exploring and designing, I realized that I wanted to add one more color than what we had previously discussed, so I turned to the PALette app on my phone to generate color palettes from photos of the actual stones I wanted to use. We had discussed incorporating lapis lazuli, amethyst, carnelian, and ebony, and I wanted to add some rich green. I emailed her these two images for comparison. Color palette generated by PALette app from image of ebony, lapis lazuli, carnelian, amethyst, and African jade. Exciting things are happening around here! 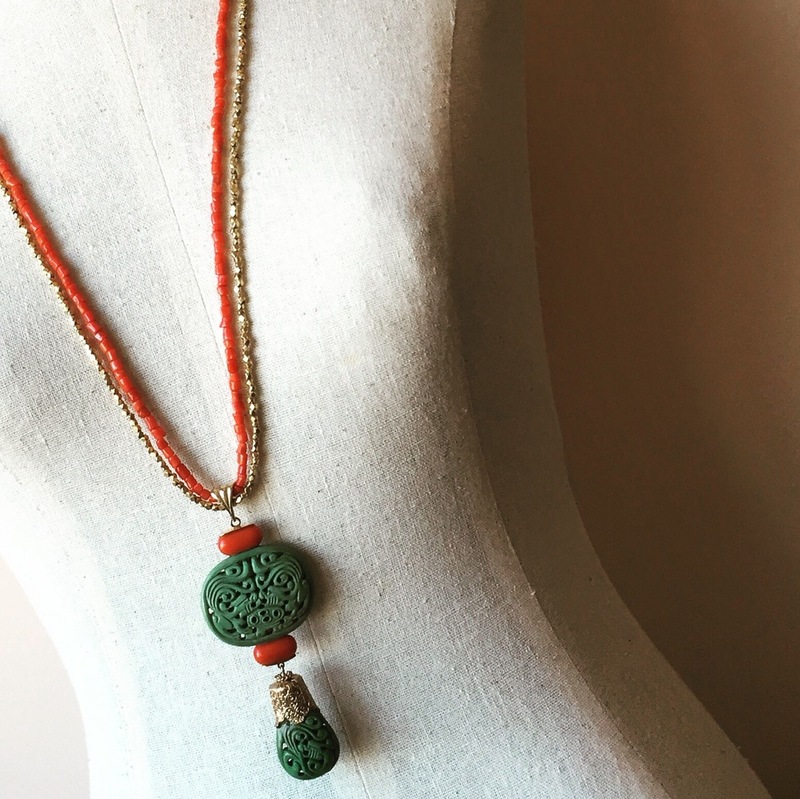 First, I am pleased to announce that Steinen Jewelry has just been listed as one of ten perfect Valentine's Day gifts on Unlocking Litchfield, a new blog covering food, fashion, fitness, and fun in Litchfield County. Lora wearing Avellana and Beverly with Craspedia. Bloggers Lora Warnick and Beverly Canepari stopped by my studio a few weeks back to learn more about my work and to photograph a few of their favorite pieces. It was a nice treat to link up with other creative professionals in the area and to hear about their latest celebrity encounters. They also gave me a quick tutorial on how to use my Instagram account, @steinenjewelry, so I have been trying my hand at tagging and hashtagging. Thank you, ladies! Gentle reminder: Valentine's Day is only ten days away. Use code VALENTINE at checkout for 15% off all jewels before 2/14. Order by Tuesday to ensure on-time delivery. A New Year brings new projects while wrapping up the loose ends of a few older ones. Last fall I attended a gem and jewelry show in Marlborough, MA in search of the latest and greatest stones for my holiday jewels. 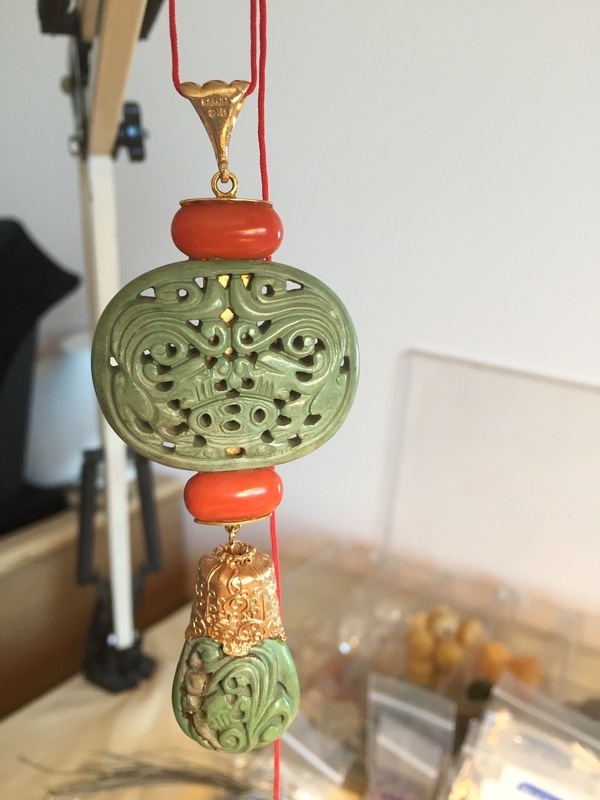 I also had a mission of finding just the right beads to complement an antique Chinese pendant for which a customer wanted a matching opera-length necklace. I found just what I was looking for - small, natural red coral tube-shaped beads and faceted gold-filled beads. After the rush of the holidays, I turned my attention to finishing the custom order. I freshened up the gold-plating with some liquid gilding, strung up the necklace, and mailed it off, but not before snapping a few photos along the way. If you've been thinking about placing a custom order, now is a good time - after the holidays and before the spring arts and crafts fairs. Welcome to 2014!! Make this the year you finally transform your grandmother’s strand of stretched out pearls into something you want to wear every day. Or update that hip necklace you sprung for while traveling across Europe in your early 20’s that’s been sitting in your jewelry box, broken, for the past decade. Maybe you’ve been pondering an heirloom piece of jewelry incorporating the birthstones of each family member and want something designed just for you with genuine stones. A loving and joyous couple had been working towards adopting a baby for many years, and their patience and efforts were finally rewarded this fall when they became the blessed parents of a heavenly baby girl. Unbeknownst to the new mother, her husband contacted me about making a necklace featuring the baby’s September birthstone – sapphire. He wanted a dainty necklace that she could wear everyday and thought that a pendant might be a good way to start. He also measured one of her favorite necklaces so we knew exactly how long to make it, and he knew that she preferred yellow gold over silver. Several days later I emailed him some photos of stones and provided him with a number of options. When my phone rang the next morning he mentioned that he had a preference but wanted to know mine first. I offered my opinion, and it turned out that we shared the same vision for how the necklace should be designed and crafted! So the stones were ordered and I quickly set about creating the final design once they arrived. 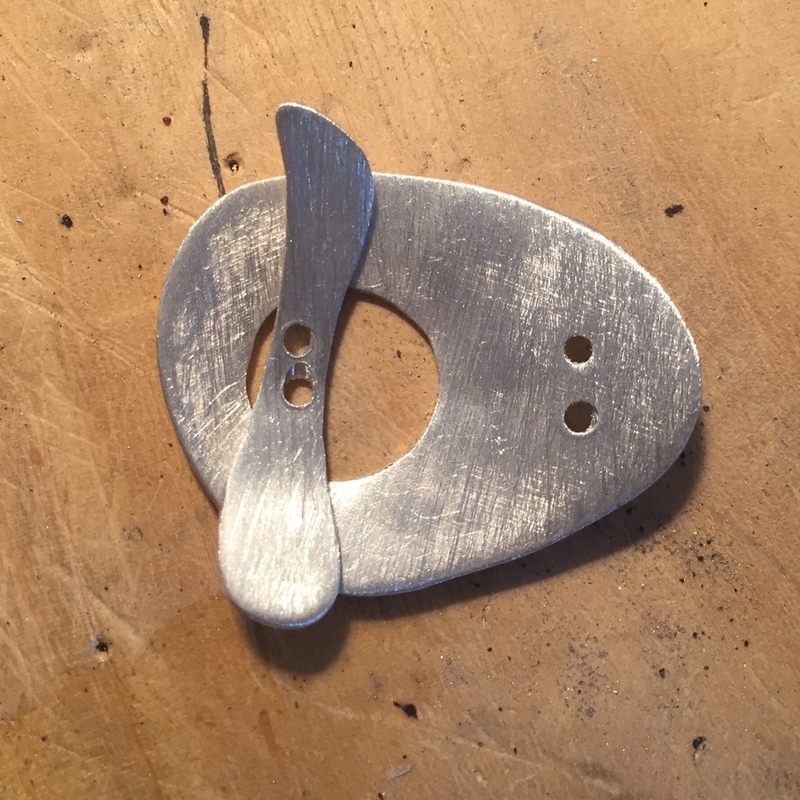 As I was finishing, I had a strong sense that a symbol of the new parents needed to be incorporated into the piece. Two quick texts later, I knew that the parents' birthdays were in October and April and that opal and diamond or clear quartz would finish off the design near the clasp. I am so excited!! It’s beautiful and everything I wanted for her!! What gave you the inspiration to add the stones noting my and her plus the dog’s (bonus) birthday months? I ask because it was my original plan, but I decided to just focus on our daughter. Because of your creativity and thinking the piece is what I originally wanted/thought of! Thank you so much!!! Yellow, pink, and blue sapphires with sapphire pendant. Necklace also includes small gold-filled balls, two Australian opals from the Lambina mine, as well as two quartz crystals in the back next to the heavy gold plate over sterling silver clasp. I really enjoy designing custom pieces that incorporate my customers’ treasured objects and jewelry components. 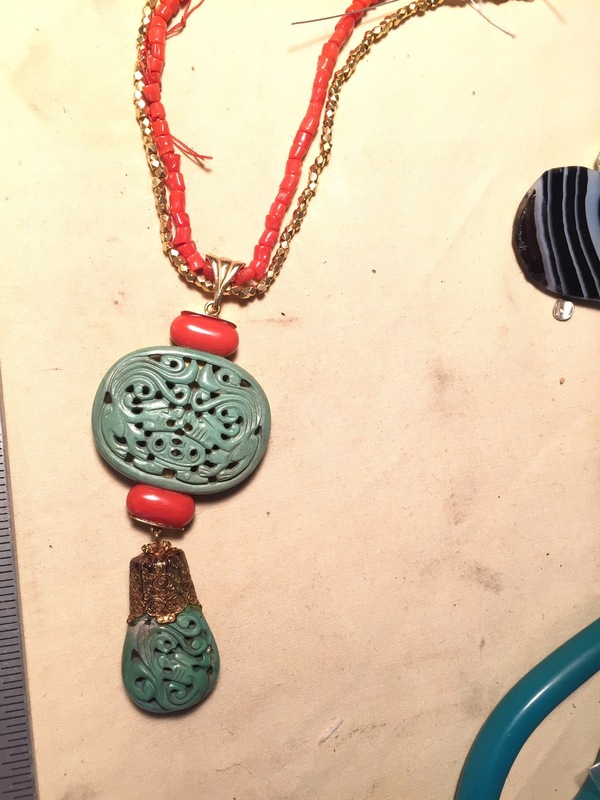 I recently completed a necklace featuring a gau, a Tibetan prayer box often worn as a pendant that is filled with precious items. The pendant was sterling silver polished with a rouge that made it appear almost gilded, and because my customer preferred gold to silver, I treated the pendant as if it was gold-colored, not silver. The resulting necklace features large faceted balls of rutilated quartz spaced apart by freshwater pearls, amazonite, and corrugated gold-filled saucers. Its colors are feminine and subtle while its weight is substantial enough to balance the ornamentation and scale of the gau. Originally strung on a simple red cord, the gau is now an integral part of a classic, eye-catching necklace that suits its luster. Do you have a special pendant that deserves a new presentation? I would love to work with you on turning it into something spectacular. 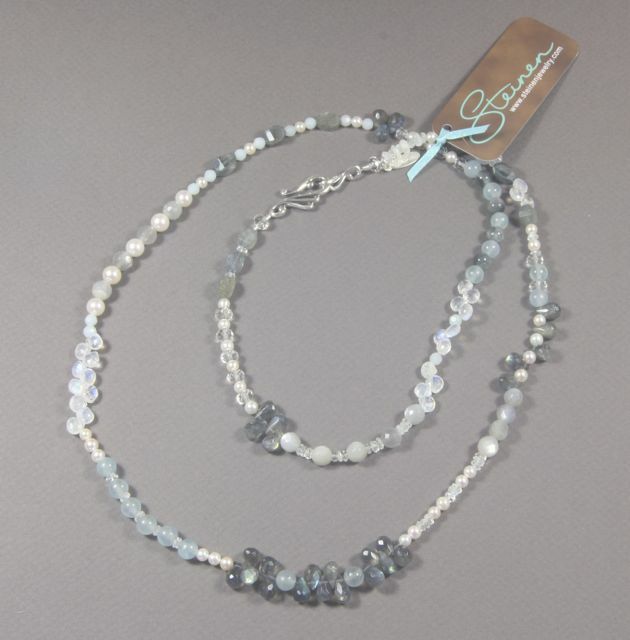 Custom 33" necklace made with pearls, blue calcite, amazonite, labradorite, grey moonstone, rainbow moonstone, clear quartz, cat's eye, aquamarine, and a sterling silver clasp. 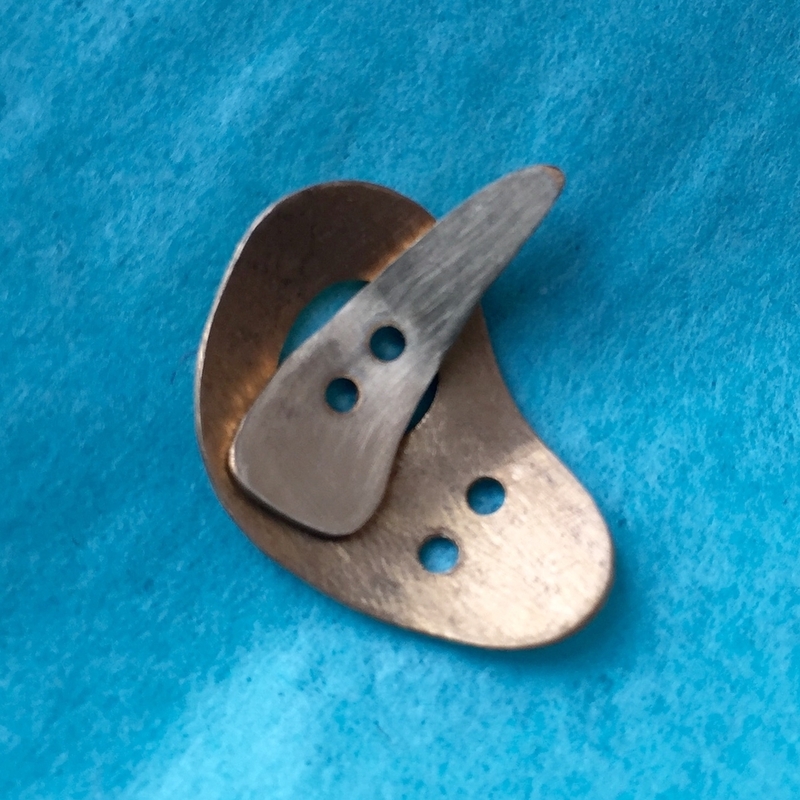 I have been trying to find a term for the process of disassembling out-of-style or broken jewelry and refashioning it into something new and well-suited for my customers. Clients often come to me with jewelry that was either their own or a relatives from long ago that needs a modern reinterpretation. I have decided upon the term “Reconstructed Jewelry”. Build or form (something) again after it has been damaged or destroyed. Here is an example of such work. 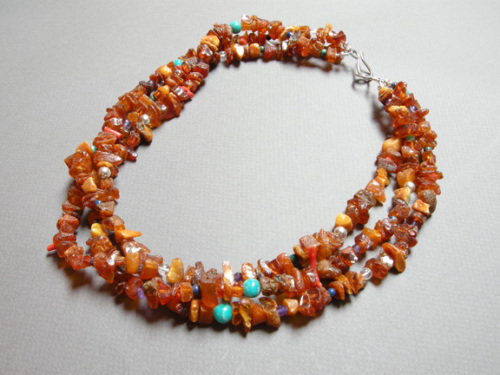 This piece started out as a stretched out, endless strand of Baltic amber that was over 50″ in length. My customer inherited it from her mother and found that she never wore it because the length was too unwieldy, and it lacked style. She came to me and asked if I thought I could do something with it, and of course I responded with an emphatic “yes!”. Anyone who wants to send estate amber my way should rest assured that it will be lovingly cared for.